Serene Gems is a new website which sells scarves, jewellery and accessories. As they've only recently launched, they have a relatively small selection, but I was sent the Watercolour scarf to review. 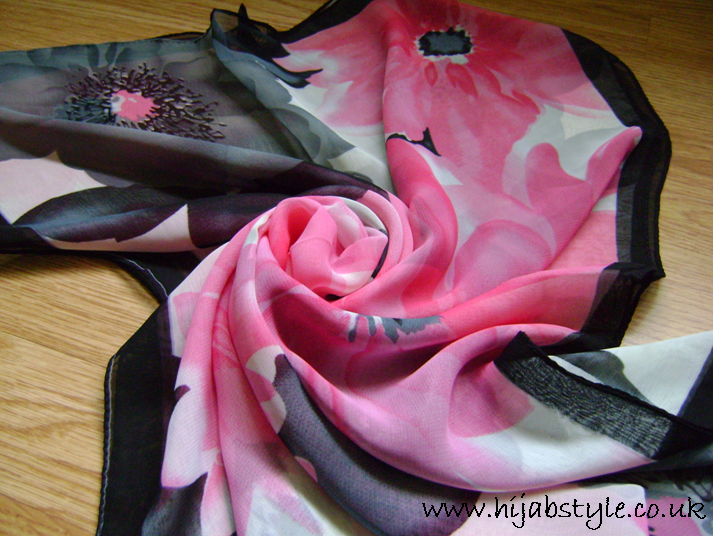 This scarf measures 160 x 48 cm and is made of a thin, delicate fabric which is quite see-through. 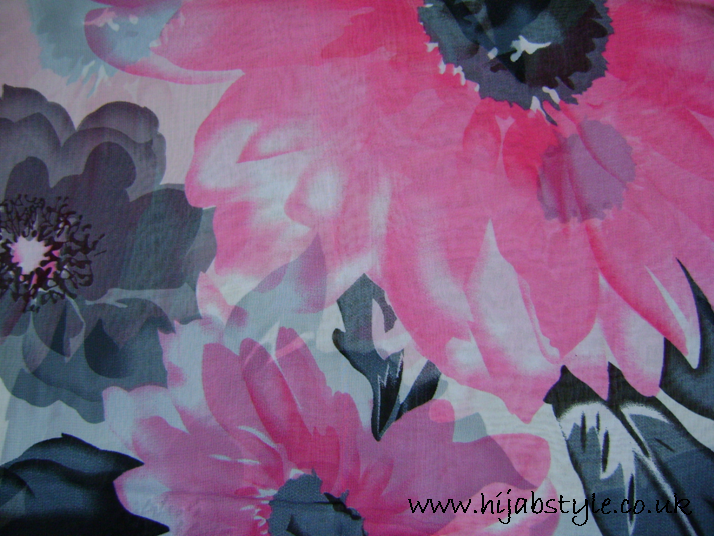 The print is a large pink, grey, white and black flower print. The scarf is very soft and lightweight, so great for hotter weather. It is however quite narrow, so would maybe work better layered with other scarves if you prefer more coverage. I'd also recommend wearing it with an undercap. Overall, Serene Gems had great customer service and speedy delivery. I like their range of pretty scarves and statement necklaces, though do make note of the sizes as a few of them are quite narrow. You can buy all the products via the Serene Gems website. anyway i saw your blog and i was happy and proud of you, because a hijabi blogger can be a topic to a fashion book.